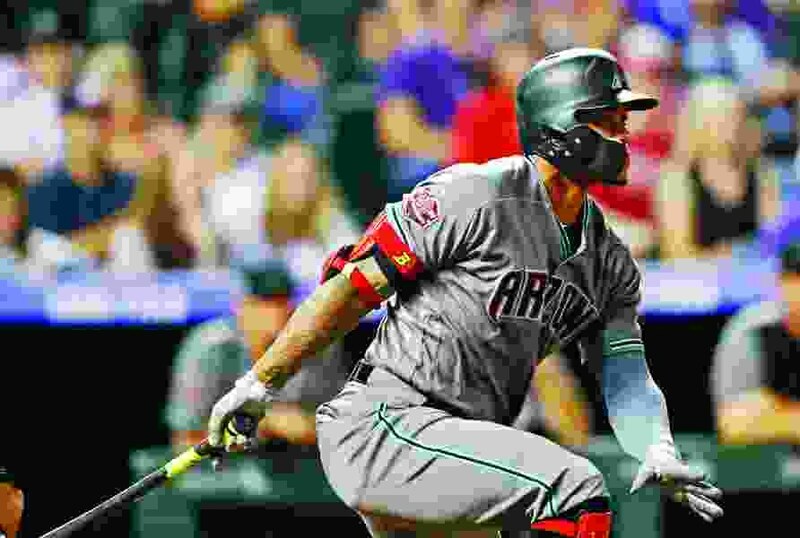 Denver • Ketel Marte drove in four runs, including a two-out, two-run triple to break a sixth-inning tie, reliever Yoshihisa Hirano helped Arizona weather a ninth-inning scare for his first big league save and the Diamondbacks pulled closer in the NL West standings by beating the first-place Colorado Rockies 6-3 on Tuesday night. The Diamondbacks cut their deficit in the division to 2½ games. The Rockies maintained a 1½-game advantage over the Los Angeles Dodgers, who lost for a second straight day in Cincinnati. Colorado is chasing after its first NL West crown in franchise history. Zack Greinke (14-9) gave up two runs in the first before recovering his command to allow three runs in 62⁄3 innings. He retired 15 straight batters at one point as he beat the Rockies for a third time this season. Pinch-hitter Matt Holliday nearly tied the game at 4 in the seventh off Greinke, with his two-out double to right-center hitting off the top of the wall. That would’ve been a homer in his first stint with the Rockies, but the team the raised the wall in 2016. Andrew Chafin relieved Greinke and walked two straight. He was replaced by Brad Ziegler, who retired DJ LeMahieu on a groundout. Jake Diekman started the ninth, only to surrender a double to Carlos Gonzalez and a bunt single to Ryan McMahon. Hirano struck out two straight, then retired Charlie Blackmon on a flyout. Antonio Senzatela (4-6) gave up two runs in the first and four runs total over six innings. The Rockies pitching staff has a 7.75 ERA in the opening frame. Red Sox 7, Blue Jays 2 • In Boston, the Red Sox became the first team in the majors to clinch a playoff spot this season, rallying on pinch-hitter Brock Holt’s go-ahead home run in the seventh inning to beat Toronto. Guided by rookie manager Alex Cora, the Red Sox improved the best record in baseball at 99-46. They assured themselves at least a spot in the AL wild-card game while reaching the postseason for the third straight year. Reds 3, Dodgers 1 • In Cincinnati, former Dodgers prospects Brandon Dixon and Scott Schebler homered, and Los Angeles stumbled for the second straight night in a loss to lowly Cincinnati. Defending NL champion Los Angeles is 0-6 against Cincinnati this season. Astros 5, Tigers 4 • In Detroit, Jose Altuve homered on the game’s first pitch, and Houston powered its way past the Tigers. Houston maintained a three-game lead over the Oakland Athletics in the AL West. Cubs 3, Brewers 0 • In Chicago, Jose Quintana pitched three-hit ball into the seventh inning, Victor Caratini drove in two runs and the Cubs beat Milwaukee to regain a two-game lead in the NL Central. Marlins 5, Mets 3 • In New York, Jacob deGrom took his latest hard-luck loss in a record-setting season, getting outpitched by Jose Urena as Miami beat the Mets. DeGrom (8-9) gave up only Lewis Brinson’s two-run double in seven stellar innings. The right-hander allowed three hits and struck out nine. Athletics 3, Orioles 2 • In Baltimore, Mike Fiers remained unbeaten in an Oakland uniform, working six solid innings to lead Oakland past the Orioles. Oakland extended its winning streak to five games and is 33-15 since the All-Star break, the best mark in the majors during that span. Indians 2, Rays 0 • In St. Petersburg, Fla., Josh Donaldson went hitless in his Cleveland debut, Edwin Encarnacion reached 30 homers for the seventh straight season and Cleveland beat Tampa Bay. Cleveland lowered its magic number to three for a third straight AL Central title. Twins 10, Yankees 5 • In Minneapolis, Joe Mauer hit a grand slam to highlight a six-run fifth inning, and Minnesota beat New York for the first time in 10 meetings after another flop in the Yankees’ starting rotation by Sonny Gray. Royals 6, White Sox 3 • In Kansas City, Mo., Brad Keller pitched seven strong innings to win for the fourth time in six starts, leading the Royals over Chicago. Cardinals 11, Pirates 5 • In St. Louis, rookie Tyler O’Neill hit a three-run homer during a six-run eighth inning, Marcell Ozuna drove in three and Miles Mikolas pitched seven solid innings to lift the Cardinals over Pittsburgh. Nationals 3-7, Phillies 1-6 • In Philadelphia, Juan Soto hit a solo home run in the 10th inning of the nightcap, his second of the game, to lead Washington over the Phillies and to a doubleheader sweep. The Phillies have lost four straight and are 6-16 since Aug. 18.